Buy 2 or More & Get 10% Off. Luke from Clewiston, Vicki from SUNNYSIDE & 116 others bought this item recently. These iJoy 20700 Batteries are in stock & ready to ship. If you Order 1 you pay the regular price of $12.50. 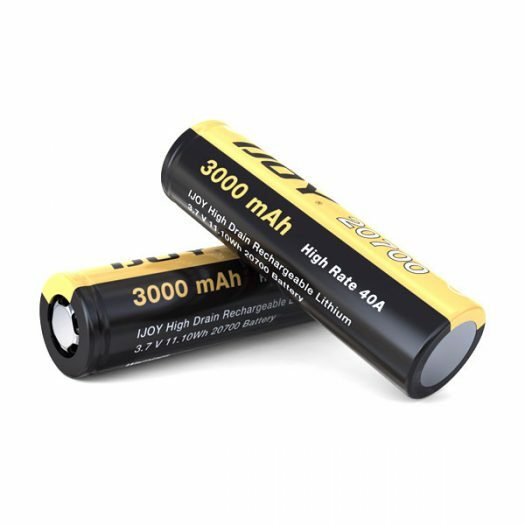 If you Order 2 or more Batteries you can get a discount of 10% by using the Code above. 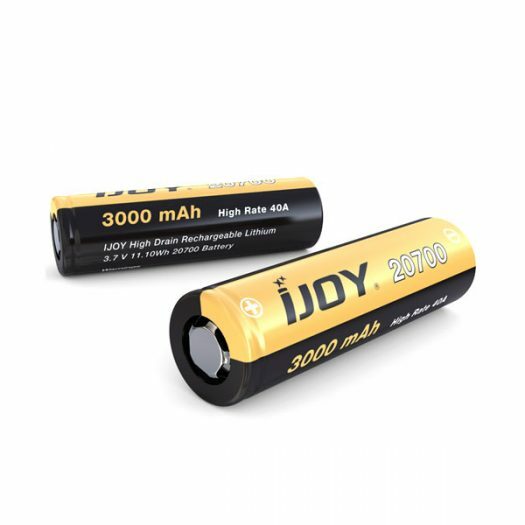 The rechargeable iJoy 20700 3000mAh 40A Battery is highly rated & manufactured by a extremely popular Vape company. 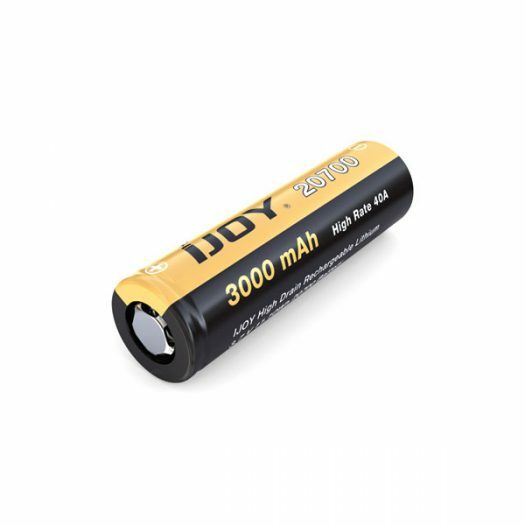 These Batteries are perfect to use in a 20700 compatible Variable Voltage / Variable Wattage Device that requires high power. 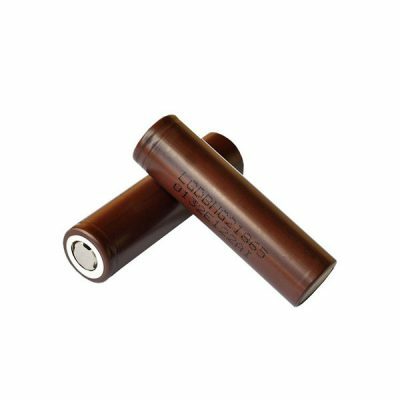 This is a Flat Top Battery, has a capacity of 3000mAh, a Max Continuous Discharging Current of 40A, & Temperature Range of -20 to +60 Degree Celsius. Please fully charge before first use. 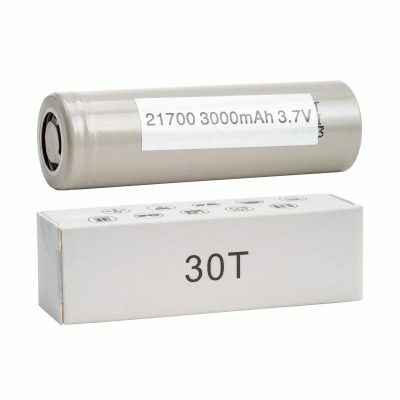 Never short (connect positive and negative ) the battery. Always keep them in a battery case or any other insulating material when not in use. Never keep the battery with any type of metal object. Never carry batteries in your pocket with keys, loose change, or any other metal objects. Had to order a new charger these didn’t fit in mine. 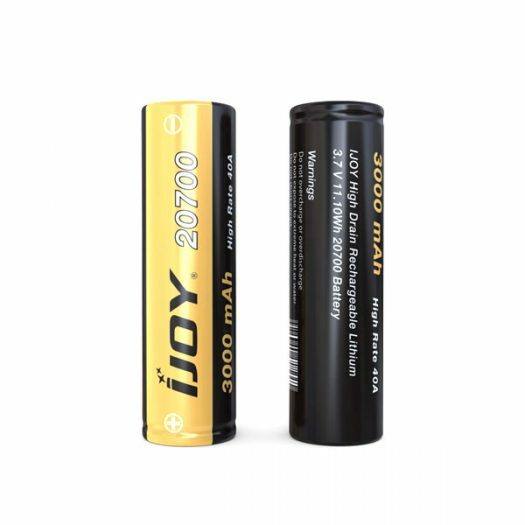 This iJoy 20700 Battery is great. Lasts longer than all my other Batteries. Fast Shipping.